Wuba is on his own journey through the monster realm. The darker forces of the evil monster king is in search for Wuba. Peace has not been restored in the monster world. Wuba meets Tu and BenBen, forming a human-monster team, who rescue Wuba multiple times. Meanwhile, Huo and Song are in search of Wuba and reaches Monster Hunter Bureau. They get their weapons upgraded and find new friends. In the end all of them fight to rescue Wuba from the evil monsters and finally Wuba is reunited with its family. It was really an adorable movie as I found myself cooing at Wuba most of the time as it makes silly, but cute sounds and whenever it’s happy, I found myself giggling at it. Yup, I am sort of infatuated, although it’s merely a monster that doesn’t exist in real life. It was interesting to see how monsters and human interact through the ”monster language” and it feels like a gap is being closed between them. The plot kicks off with the backstory of Wuba, a radish like baby monster, and how he was separated from his parents after a long chase in the forest and defeating one monster to the next. Wuba was alone and tries to find his parents by himself. His first encounter was with a bunch of children, who were amazed and excited at the sight of a monster and ran all around the streets to find Wuba as he tried to escape. On the other hand, Wuba’s adoptive monster-hunting couple was on a search hunt to reunite with Wuba, offering money to find solutions that will help them find Wuba. The film mostly centralizes around Wuba but there were small anecdotes in the film that makes it seem fuller. It was rather interesting to see that when Wuba screams or cries, Xiaolan, who is the adoptive mother, sees through Wuba’s actions while her husband, Tianyin, looks on at her strangely, but tries to be supportive although he finds her acting weirdly. Ben Ben and Sigu (Tony Leung) find Wuba. Initially, Sigu was supposed to find Wuba and sell him to Jinzhen, who forced Sigu to marry her unless he provided the baby monster. Sigu was keen as he would receive money in exchange of the baby monster but upon seeing Xiaolan, Tianyin and Wuba reunite he changed his mind and decided to pay off his gambling debts. The ending was rather bittersweet yet touching as Xiaolan, Tianyin, Ben Ben and Sigu came together to fight the evil monsters who were threatening to take Wuba away. Ben Ben and Sigu, who initially had their hands on Wuba, returned Wuba faithfully to the Xiaolan and Tianyin couple. Although this movie made me feel like it was slightly unmemorable, I must say that this movie was really sweet, moving and charming. 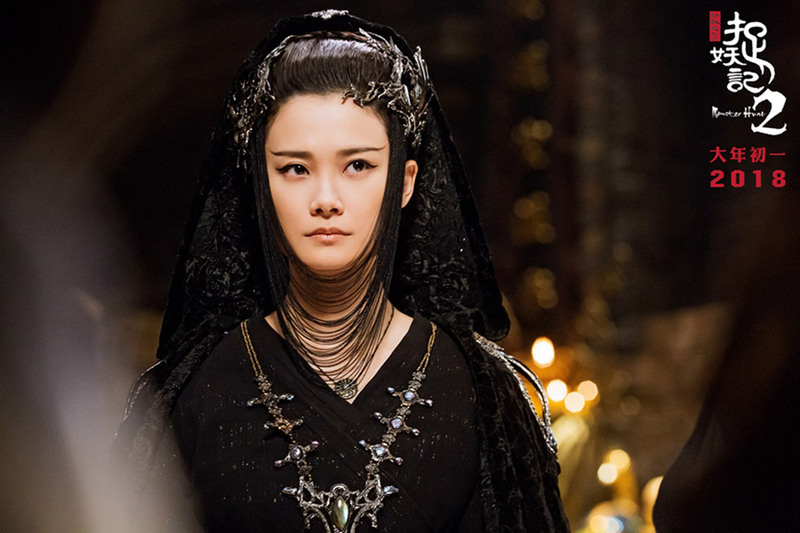 My favorite scene would be between Tony Leung and singer-turned-actress, Li Yuchun. She is my all time favourite singer and seeing her in the film was a pleasant surprise for me. It was honestly unexpected that Li Yuchun’s acting was one of the most hilarious moments in the film as she is hopelessly in love with him. There were some unexpected twists and scenarios in the movie, which made it more thrilling and fun to watch, but most importantly, I feel that the chemistry between the actors and actresses made it more natural and pleasing to watch. 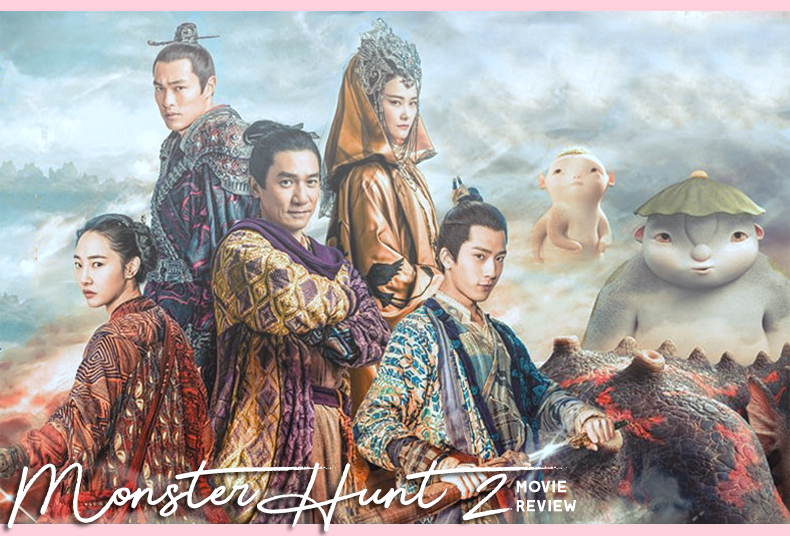 To be honest, I have not watched the prequel, Monster Hunt thus my opinion was based on the sequel, which was I felt had a much happier ending and resolved the problems that were perhaps not solved in the previous movie. I would say to give this movie a shot, although it may or may not be to your liking, at least there would be some joy in watching this adorable yet funny movie.